Now that Thanksgiving is out of the way, tis the season for packing a taser and heading off to rumble at the mall. 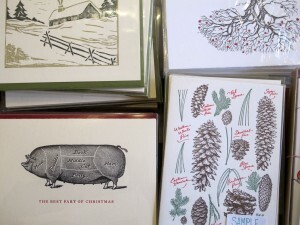 But if coming home with a bloody nose and bagfuls of imported trinkets from Target doesn’t scream holiday for you, Wigwam has another idea—shop local, shop Main Street. Yes, it’s been said many times, many ways. But they who repeat themselves endlessly are the ones whose messages often stick. 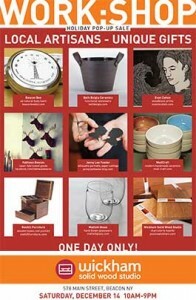 Herewith, we present a guide focused on hand-crafted, hand-made, and hand-assembled items created (mostly) in our region and available at shops on Beacon’s Main Street. 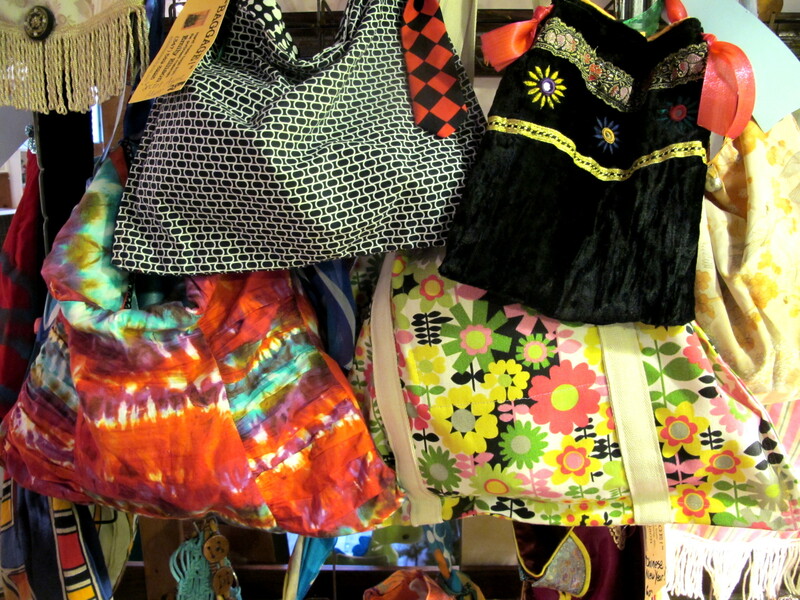 That leaves out a ton of other options—antique shops, consignment shops, purveyors of outdoor goods—but half the fun of shopping locally is strolling along in and out of stores and running into neighbors and friends, so we’ll leave it to you to explore further. This shop draws its hand-made items from around the country, offering an assortment of kitchen glassware and software, along with cutting boards, soaps, and a wide array of note cards and seasonal greetings, from hip to homey. On Sundays through Christmas, the shop is featuring super yummy (actual customer review) cupcakes and cookies from The Darling Kitchen. 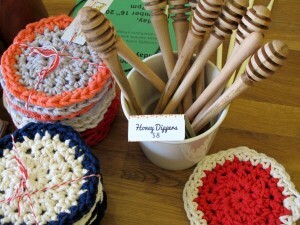 Hand-turned wooden honey dippers, $8. 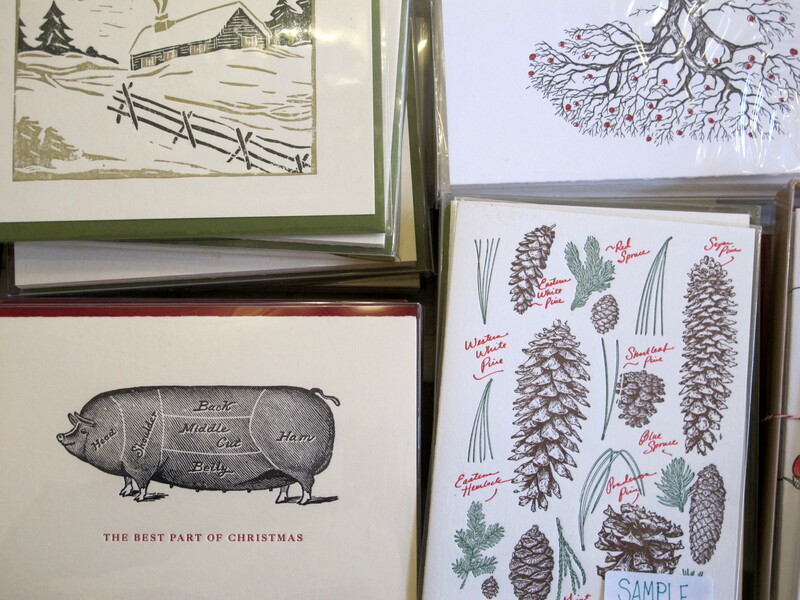 Holiday cards, $3.50 and up. This gallery space, normally available for rental by the month, is hosting a group show through the holidays of over 100 small works by local artists. 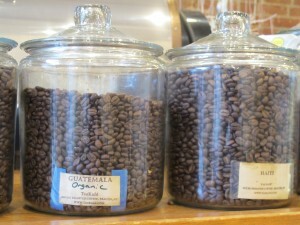 Prices range from $50 to $500. 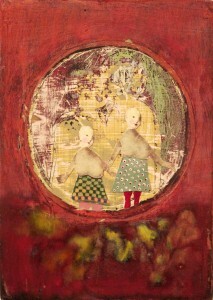 Opening reception is Saturday, December 7, 6-9pm. 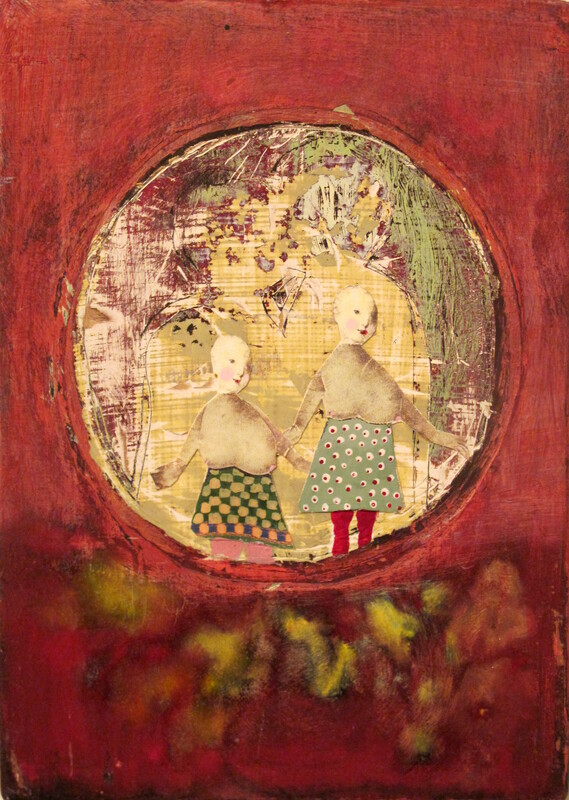 Catherine Welshman, “Garden Girls”, $300. Michael Ulrich, “Panopticon”, scratchboard, framed, $400. 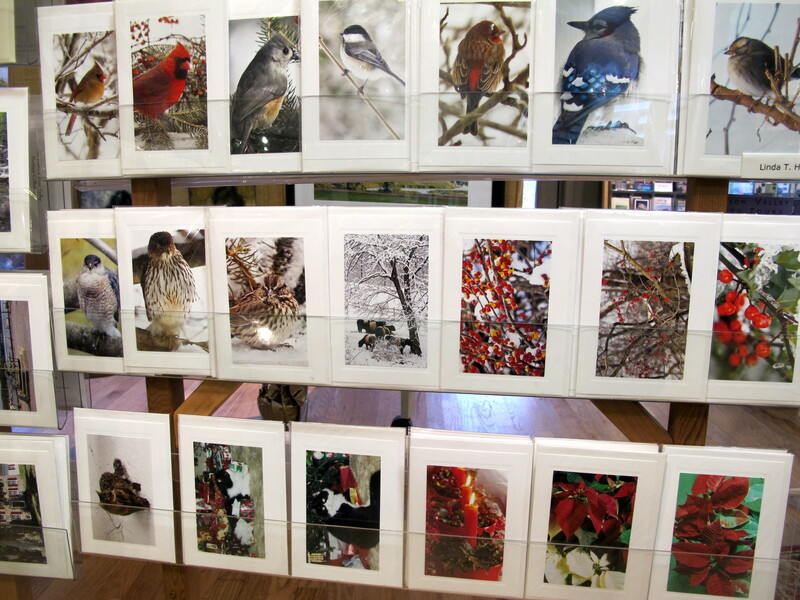 One of the longest-running gallery and gift emporiums on Main, Riverwinds offers photographs and paintings from local artists, often with the subject of our region’s great natural beauty. You’ll also find plenty of hand-crafted jewelry and pottery, along with an array of seasonal cards, many again featuring festive photographs of local flora and fauna. 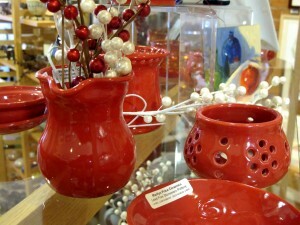 Stoneware pitcher, $20, tea candle holder, $12. 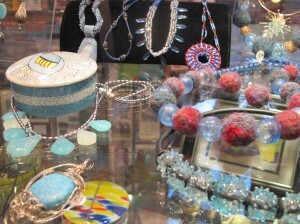 Riverwinds carries a wide selection of artisanal jewelry. 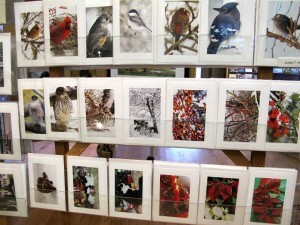 A vast selection of note cards is here, including seasonal greetings featuring birds, plants, and wintery landscapes. This popup shop, appropriately held in the space normally occupied by Zora Dora’s of artisanal popsicle fame, has been part of the local holiday scene for a few years now. Here you’ll find a variety of hand-crafted holiday ornaments, as well as jewelry, knitted hats and scarves, ceramics, and lots of neat stocking stuffers. 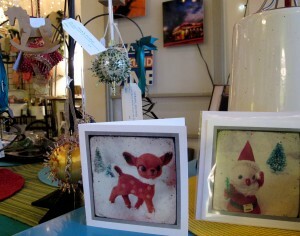 The small selection of notecards is appealing, and leans toward the edgy and funky. Open through Valentine’s Day. 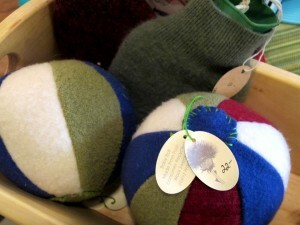 Baby balls and water bottle cozies made from vintage sweater material, $22 & $12. 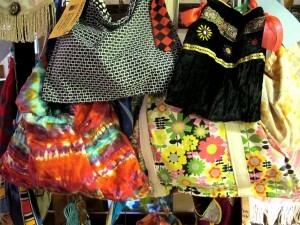 Bags made from used clothing by Baggage!, $15 to $60. DMG is where you’ll find spices and teas and bitters, along with the home-brewed item, locally concocted soda syrups, featuring all organic ingredients and half the calories and sugar of regular sodas–that’s pure cane sugar, no corn syrup here. 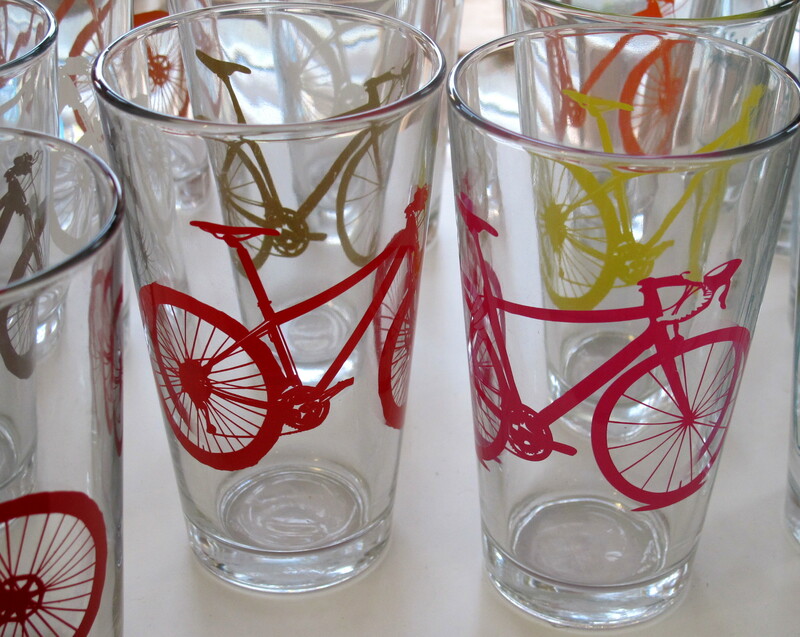 Use your fizzy-water-making machine or a regular bottle of seltzer or sparkly from the grocery store to complete your beverage. One bottle makes between 12 and 24 glasses, depending on your taste. 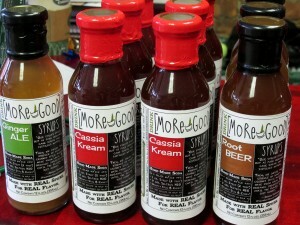 Delicious all natural soda syrups from Drink More Good, $15. The self-proclaimed stocking stuffer central, Alps has been helping Santa since 1922. No doubt about origins of manufacture here, as you can see right into the factory floor behind the counter. The store features a dizzying array of holiday-themed confectionery delectables. 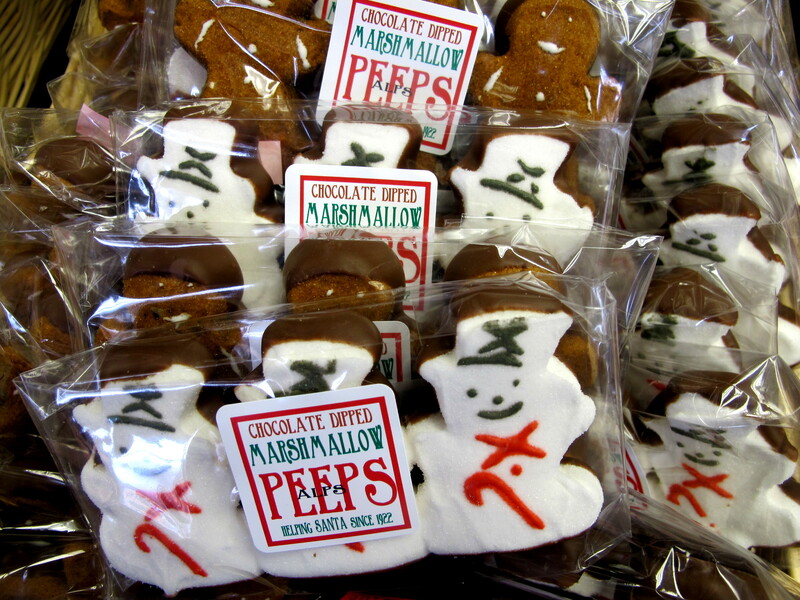 Snowman peeps for all your peeps, from Alps Sweet Shop. 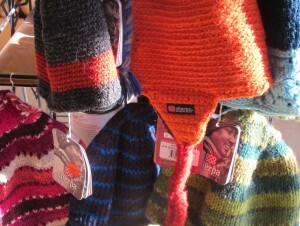 Wool winter hats in a variety of styles and colors, hand-knit by widows in Nepal, who are often ostracized in that country. In addition to paying them fair wages, 5% of sales go into a scholarship fund for children. Hand-knit hats from Nepal, $17.95. 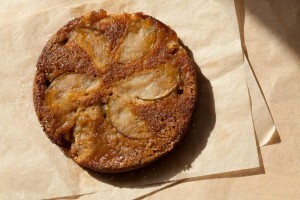 Delicious, gluten-free holiday baked goods available to order. Also featuring coffee beans roasted in-house by Tas Coffee. 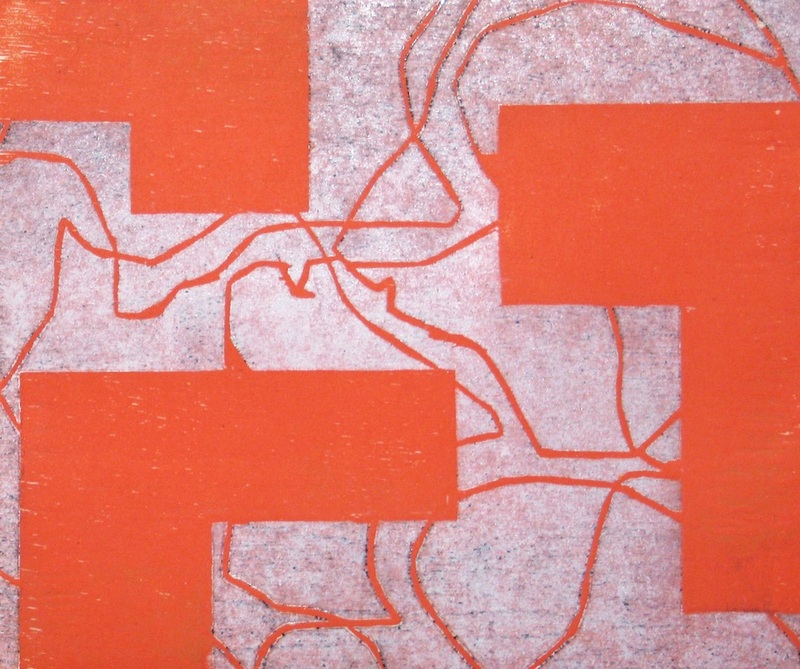 The exhibition runs through the end of the year and features dozens of affordable, one-of-a-kind, color woodcuts by 13 artists, created during a month of printmaking sessions at the Garrison Art Center in Garrison, NY..
Karlos Carcamo, Woodcut on handmade Thai kozo paper. 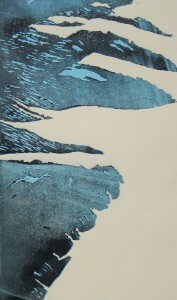 Ryan Magyar, Woodcut on handmade Thai kozo paper. This shop just by the dummy light and across from the Roundhouse features women’s clothing designed and sewn by the proprietor, as well as a selection of clothing, jewelry, and accessories by mostly local fabricators. 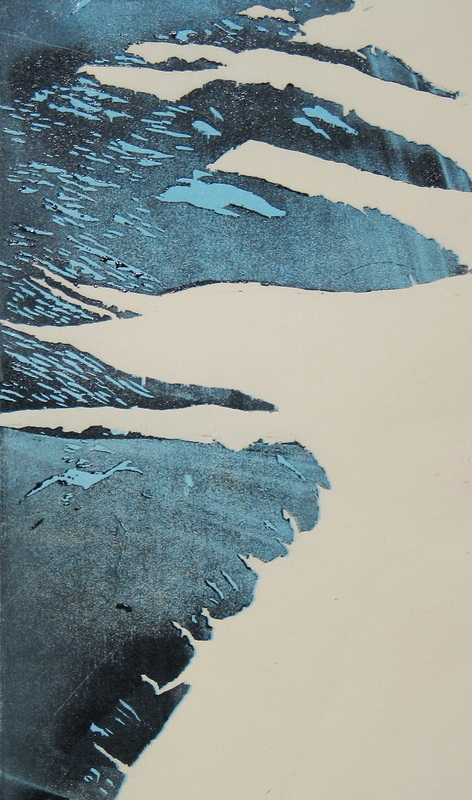 The shop has a rotating art exhibit, and is currently presenting photographs of the sky by Sarah-Maria Vischer. 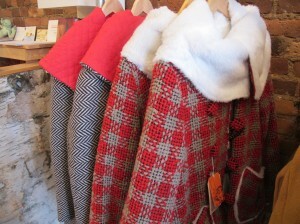 Snowgazer coat in a jazzy Italian wool, $298. 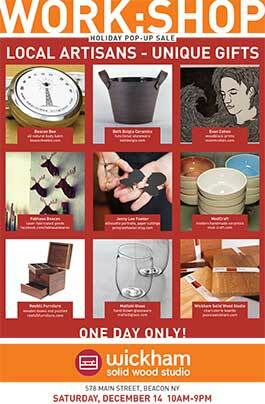 This one day event will be held in the Wickham workshop, a renovated hat factory building along the shores of the Fishkill Creek, just up the street from the Roundhouse at Beacon Falls. The idea is to have the sale in a working studio, with an emphasis on sharing some of the process behind the work. 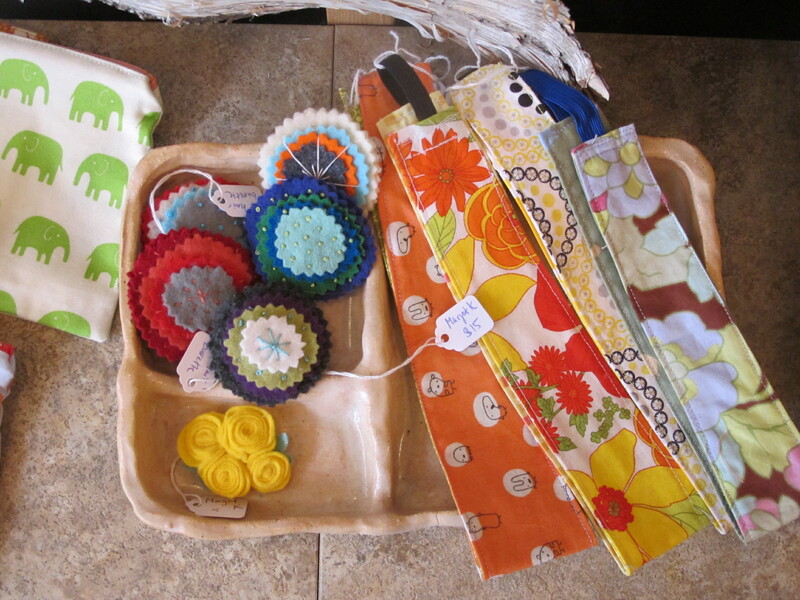 A group of local artisans will be on hand selling their wares. Join Laura Sansone and Textile Lab on December 7th from 10am-12pm to construct hand-felted Christmas ornaments using naturally dyed wool from sheep that live in the Hudson Valley. 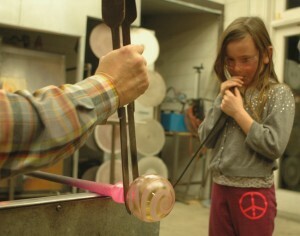 Open to adults and kids of all ages. Fee includes materials for 3-5 handcrafted ornaments. 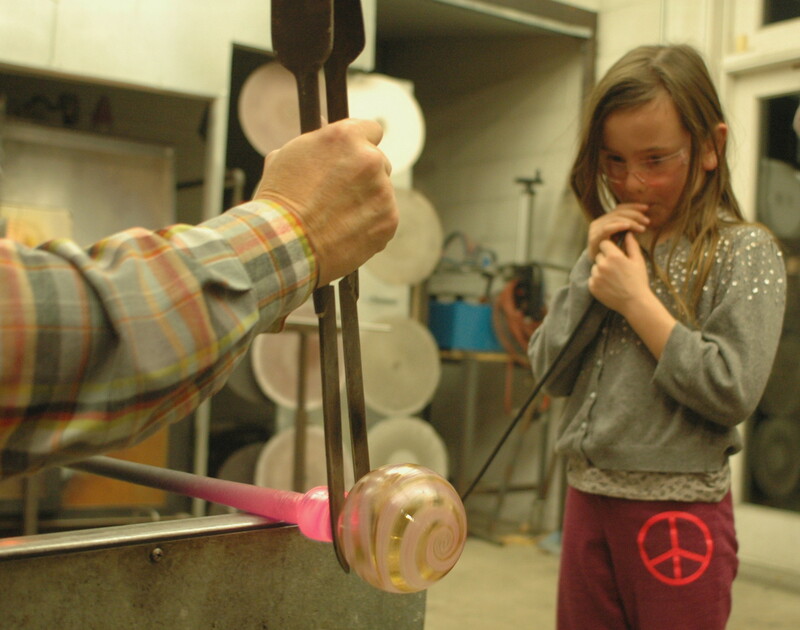 Master glassblowers John Gilvey or Kathleen Andersen will help you make your ornament. Call to sign up 845 440-0068. 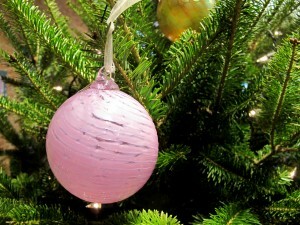 No ornaments Mondays or Tuesdays unless you call and schedule a big group. 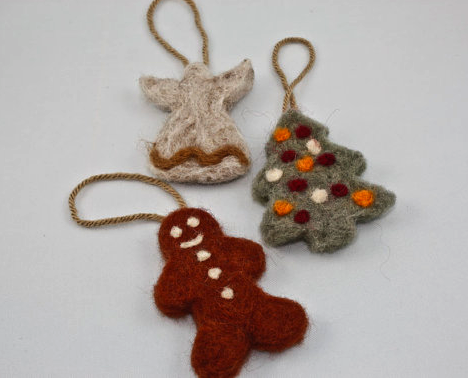 Each ornament is $30 and takes only 15 minutes to make. Please note that your ornament will have to cool slowly overnight so either you may pick it up the next day or they will mail it to you. No experience necessary. Ages 6 and up.